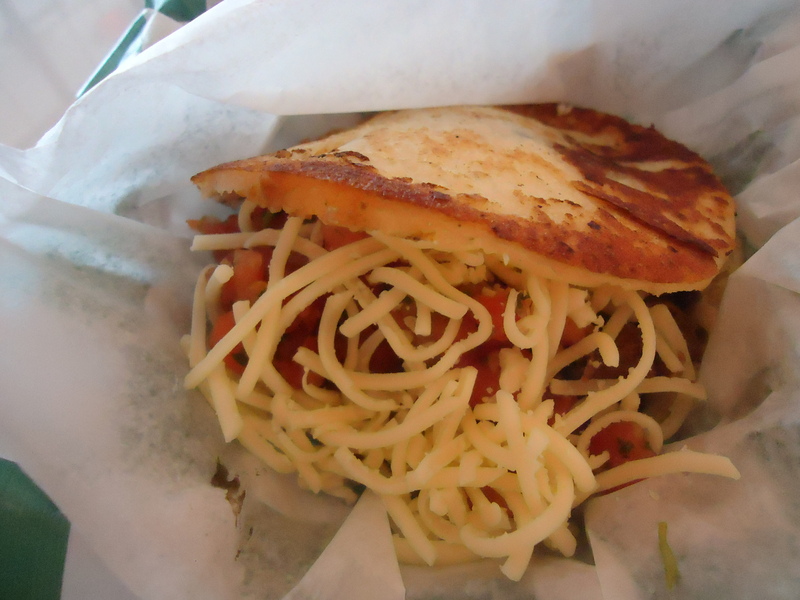 Guasaca Arepa and Salsa Grill is my newest obsession. The Raleigh restaurant opened on Dec. 3, 2012, at 4025 Lake Boone Tr., #107. Beautiful pictures of food line the lime green walls of Guasaca and the restaurant is always bustling with people. The opening of Guasaca marked a long, two year process. Chef Jose Alvarez moved from Maracaibo, Venezuela to partner with Orlando Escovar and Heli Mendez to open the restaurant. 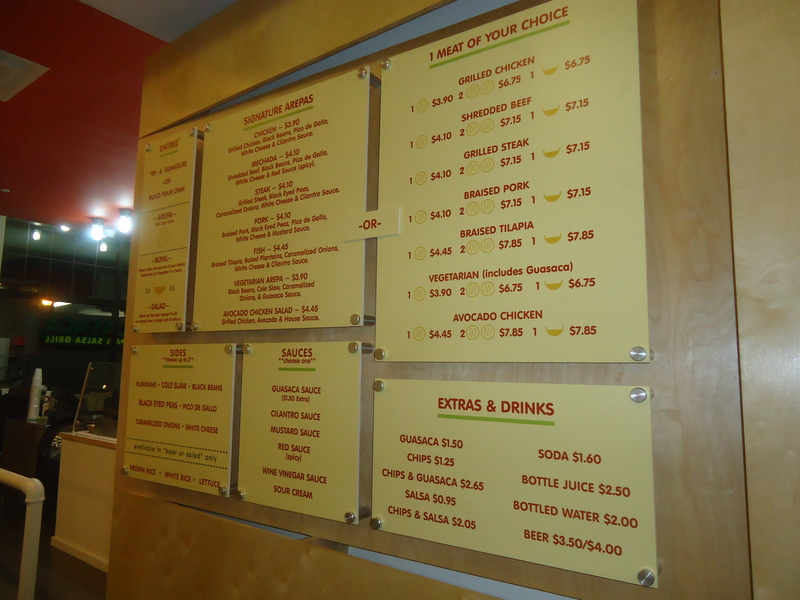 The restaurant&apos;s flow reminds me of a Chipotle Mexican Grill or Moe&apos;s Southwest Grill. You have the option of building a signature bowl, salad or arepa. 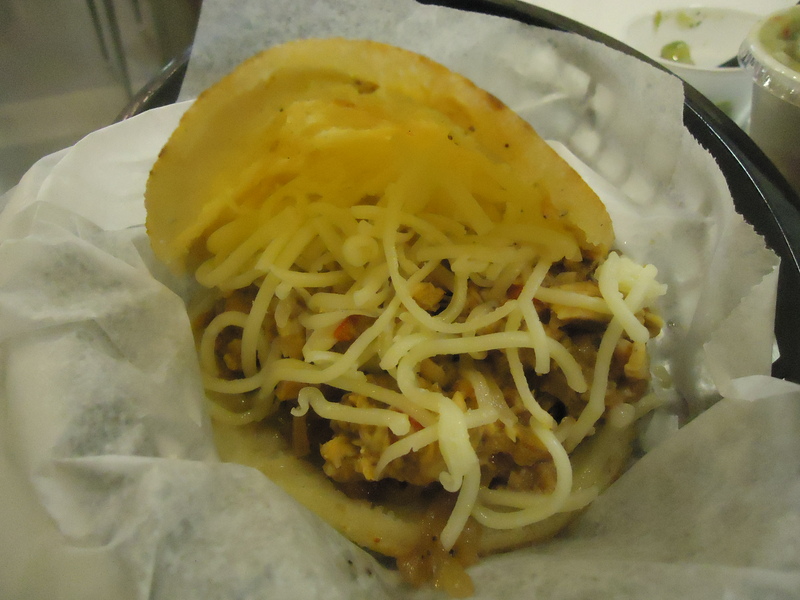 Arepas are known as Venezuela’s daily bread, which can be filled with almost any combination of food. 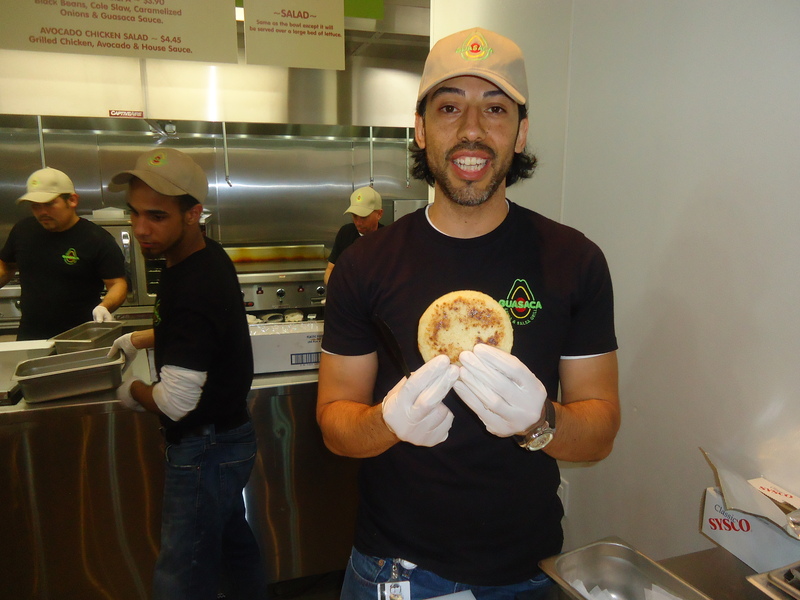 Guasca’s arepas are made out of corn instead of wheat and served fresh from the grill. Heli Mendez is an economist originally from Barquisimeto, Venezuela. He has also worked in the restaurant industry but needed the right business partners to help him develop his idea for an authentic Venezuelan restaurant. Heli contacted Chef Jose, one of the best chefs in Venezuela, and Orlando Escovar, originally from Columbia with numerous years of experience in restaurant management. 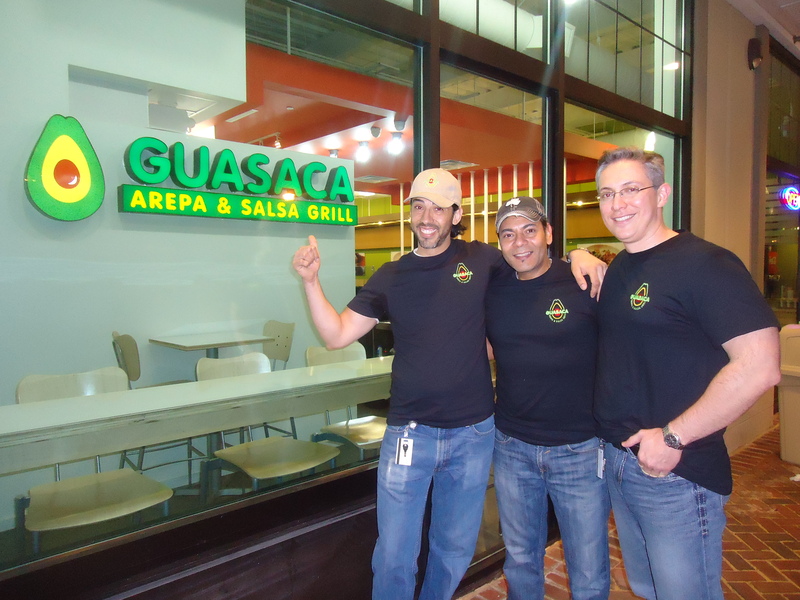 Both men were on board with Heli’s idea for Guasaca and immediately started working on the restaurant concept. Chef Jose believes that nothing is a coincidence in life. He enjoys cooking for people and when he was presented with the opportunity to showcase Venezuelan cuisine in North Carolina with Orlando and Heli, he knew it was his calling. Since day one, Chef Jose has specialized and learned more about Venezuelan cuisine. Many chefs from his country go to Europe to become experts in a different cuisine. However, he wanted to learn the roots of Venezuelan cuisine. With the help of his mentor, Armando Scanonne, Chef Jose became a sensation in his country. 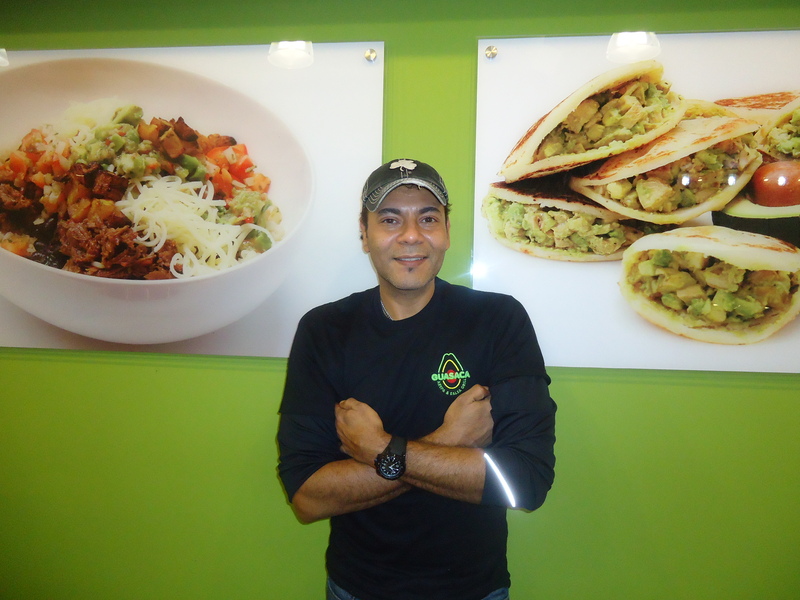 Chef Jose has spent 18 years immersed in Venezuelan cuisine. He was a private chef for one of the richest men in Venezuela, and catered for multiple embassies. Chef Jose also believes in giving back, and trained numerous people to become chefs who were once living on the streets of Venezuela. Chef Jose dishes up on his favorite kitchen gadget, his craziest kitchen disaster and more during My Cackalacky 10. 1. My favorite kitchen gadget: "We use the metric system for cooking in Venezuela. So, I would have to say the scale!" 2. When I go out to eat with friends I go to: "Restaurants serving French food." 3. On my iPod right now: "A song by a Mexican singer named Espinoza Paz. The name of the song translated from Spanish to English is, A Normal Man. I have been living in North Carolina for five months and the song reminds me of the memories I have from my country." 4. My must-have North Carolina ingredient: "I&apos;m not sure yet. One thing I have enjoyed about being in the United States is cooking with jalapeño peppers. In Venezuela we have a different varieties of peppers." 5. My worst kitchen disaster: "I had a big catering business in Venezuela. We catered a dinner for the president of a large bank in my country. The president wanted to include chocolate mousse on the menu. When we got to the event, I realized the person in charge of the dessert completely forgot the chocolate mousse. Minutes before the event, I had to run out of the building and purchase chocolate ice cream for over 400 people! It was so embarrassing." 6. I dream about cooking for: "I’ve already cooked for so many famous and amazing people. At this point in my career I would love to have the opportunity to make a great meal for someone who has never been able to have a nice, gourmet dinner." 7. My favorite menu item: "The guasaca with chips." 8. The hardest thing to cook: "A Venezuelan soup called mondongo. Traditionally, most Venezuelans hate the soup because it has a lot of “products” from the cow. Most of the time when people make the coup it is not very appealing. I have made the soup more appetizing and serve the dish to embassies. Surprisingly, the Americans and Europeans love it!" 9. Favorite attraction in Greater Raleigh: "We have been working so hard that I have not been able to experience a lot of attractions in Greater Raleigh. I do enjoy Crabtree Valley Mall and Solas Restaurant Lounge & Roof. When I came to North Carolina I kept on thinking, "Where are all of the people?" I like the mall and Solas Restaurant Lounge & Roof because these places remind me more of my country, has a high density of people." 10. In another life I would be a: "Counselor or psychologist so I could help other people." I had the opportunity to try the braised tilapia arepa. The arepa was grilled to perfection. Layers of fish, baked plantains, caramelized onions and white cheese filled the corn cake to create an amazing flavor. The arepa was served with a side of cilantro sauce. The green colored sauce was beautiful and tasted even better! The sauce took the flavor of my arepa to the next level. It’s hard to explain the different flavor profiles of the dish. So, I just suggest trying an arepa for yourself! I also ordered a side of the guasaca, which is a Venezuelan avocado-based sauce. I knew the sauce must be delicious or the three business partners wouldn’t have named their restaurant Guasaca. The sauce is much lighter, flavorful and sweeter than guacamole you would order at a Mexican restaurant. The avocadoes are cubed and mixed with numerous vegetables, herbs and peppers. 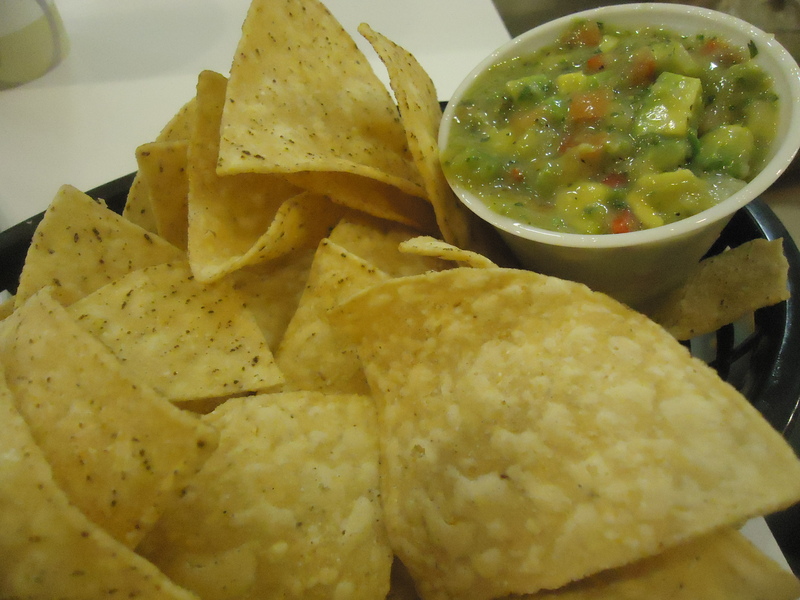 The chips tasted like they had a hint of lime, which paired nicely with the guasaca. After my first visit to Guasaca, I had to come back. I found myself having dreams of arepas and telling all of my coworkers about the guasaca. I convinced a large group of seven coworkers to eat lunch at Guasaca. My meal was delicious and I tried the shredded beef arepa with mechado sauce. The sauce brought a wonderful flavor to the dish with a nice finishing heat. I highly recommend Guasaca for the food and the amazing service. If you catch yourself having dreams of guasaca, mechado sauce and arepas after your first visit, don&apos;t blame me!